Listening to The Fall is like climbing inside the addled, noisy brain of a psychotic: grotesquely compelling, sometimes a little scary. The hypnotic repetition of the music reels you in, and then you’re helpless to the jabbering of the author and narrator of these twisted yarns, Mark E. Smith, the only consistent member of the band since its inception in 1976. Watching The Fall is like seeing those brainwaves perfectly embodied in a rock band. And as they took the stage at the Arts Club, Liverpool, following an impressive host of local bands, the excitement was palpable. Anything can happen at a Fall gig. A steady fusillade of drums denotes a beginning, but no one seems to know what song is playing. 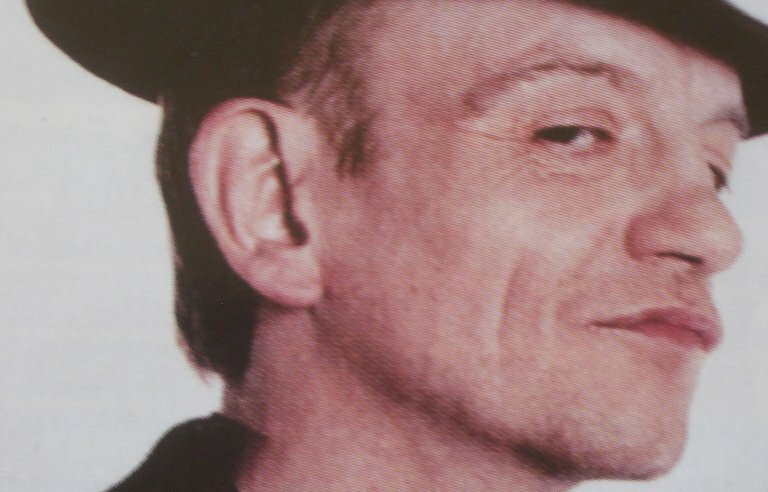 The Fall rarely play anything that could constitute a hit, and the songs they do play are more often than not complete reimaginings of the original recordings. This adds an element of freshness to every gig, and encourages fans to listen to their newer, still utterly fascinating material. The confusion doesn’t stop the crowd from meeting the energy of the band, as everyone starts jostling and swirling, and Mark E. Smith begins to sing. He is mesmerising. He gazes at the floor as if communicating only with himself. He is eerily familiar, much like that old man in the corner of the pub, but they’ve put him up on stage and now he’s telling you about the time he ‘ended up under Ardwick Bridge with some veterans from the U.S. Civil War’ or some such nonsense. Smith’s sense of the absurd borders on the obsessive. Every lyric is tinged with his grimy brand of Dada. He stands hunched on the mic, still but for a series of shrugs and the occasional shambling of feet. With the coming and going of countless musicians, and with each new album, (30 and counting), the music of The Fall is in constant flux, veering from rockabilly to EDM, to an undefinable experimentalism, though never in search of any great euphony, always rooted in the dissonance of punk. The ever-changing sound only highlights Smith’s distinctiveness, recontextualising his beguiling poetry, much of which is quite indecipherable. Smith sings in a Salford slur, making it difficult for even the most talented interpretor to work out what he’s saying. This makes his performance all the more enigmatic, and when every now and then you can make out a lyric it hits you twice as hard, like the answer to a riddle. The crowd are keeping up, dutiful to the incessant beat. There is an amicable rowdiness to the audience that is mirrored in the balance of aggression and nonchalance exuded by Smith. Everything seems to be in harmony. Passionate smiles shine from faces. I wonder how a band so strange and so perverted could generate such joy and warmth, and I consider that, deep down inside, we’re all little bit strange and perverted, and perhaps it is our duty to celebrate the fact. At 59 years of age, Mark E. Smith is a beacon of British rock and roll. The influence of The Fall is omnipresent, but the bands that have spawned in their wake all seem so tame and unimaginative in comparison, and Smith has often derided them for this (‘listening to Pavement, it’s just like listening to The Fall in 1985, isn’t it. They haven’t got an original idea in their heads’). So if there ever was a reason to go and see The Fall on their current UK tour, it’s that. They are inimitable, a one of a kind, and they still put on a thrilling show. The Fall will be touring the UK throughout February. See their website for more details. The hypnotic repetition of the music reels you in, and then you're helpless to the jabbering of the author and narrator of these twisted yarns. Smith's sense of the absurd borders on the obsessive. Every lyric is tinged with his grimy brand of Dada. I wonder how a band so strange and so perverted could generate such joy and warmth.